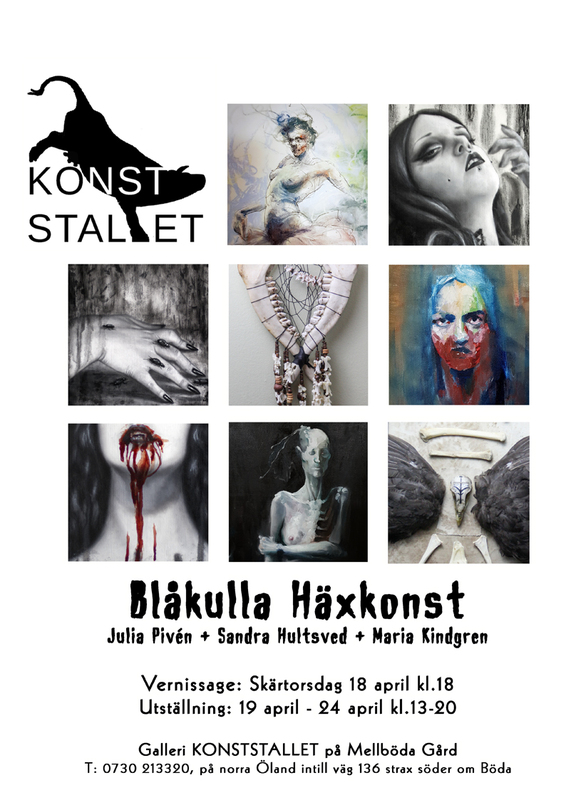 Blåkulla Häxkonst – The art of Sandra Hultsved. You are here by invited to Blåkulla Häxkonst an exhibition filled with witchcrafts, with opening on April 18 at Mellböda Gård, Öland, Sweden. In addition to my art, you will also be able to enjoy The Universe of Majjsan – jewelry and sculptures, as well as Julia Pivén‘s paintings.